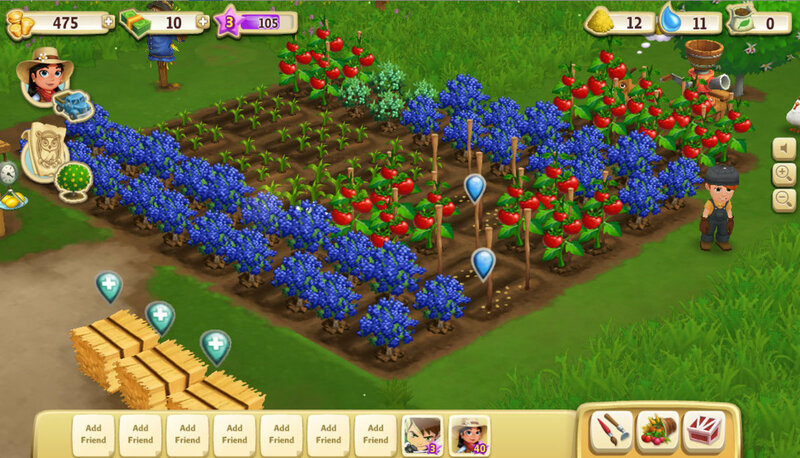 Farmville animals serve many purposes on the millions of virtual farms scattered throughout the internet. 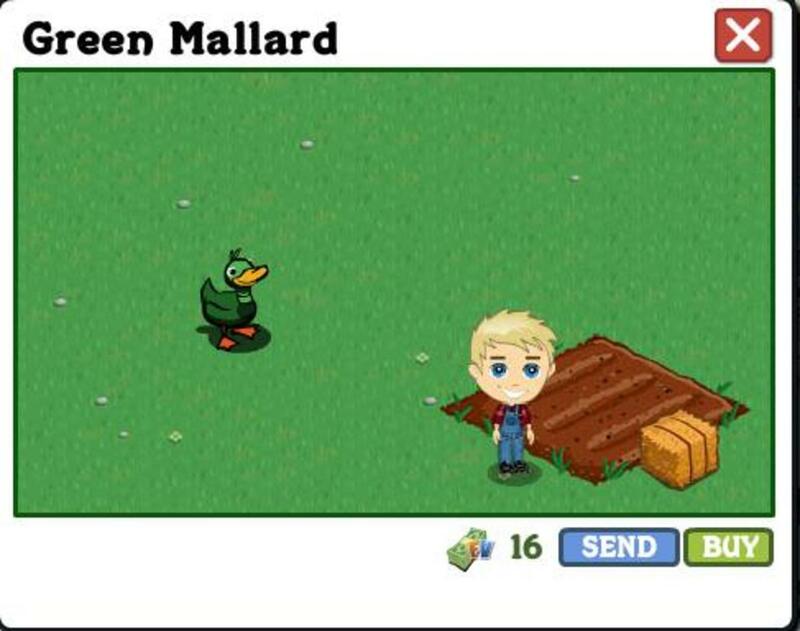 Most of the animals in Farmville provide earned coin for farmers when they harvest eggs from chickens, truffles from pigs, or down from ducks that live on their farms. 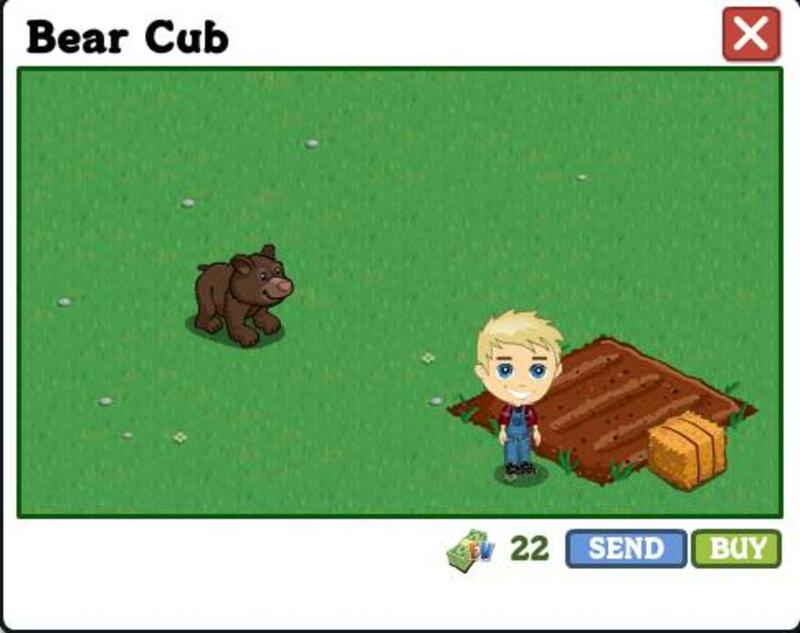 Some of the animals on Farmville farms provide their owners with more than just extra coin, they act as collectibles and marks of a wealthy and experienced farmer (and also cost Farmville Cash rather than coin, making them even more rare). 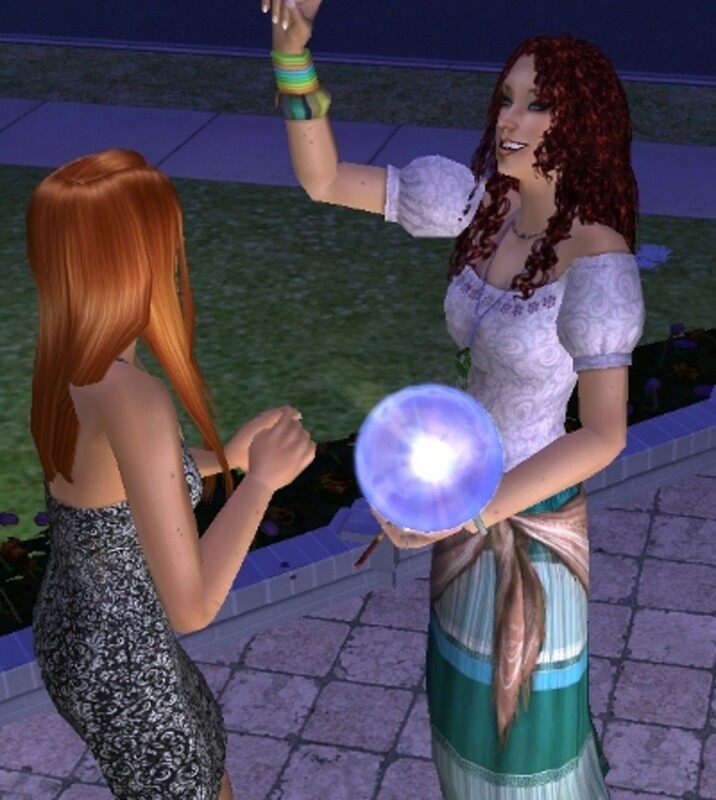 The Farmville animals in this top ten list are here because hey are (in my opinion) the top 10 most desirable and enjoyable animals to have on one's farm based on aesthetics, rarity, and value added to the owner's farm. Short on Farmville Cash? 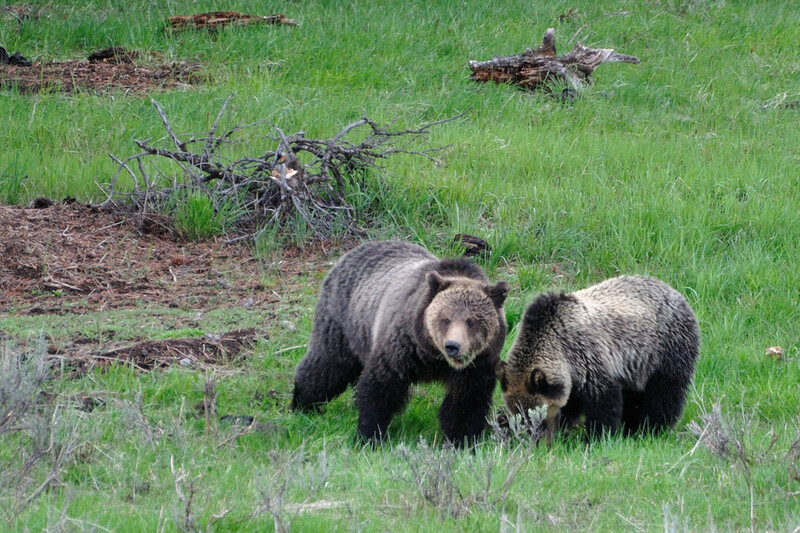 Check out this link to see an easy way to get one or two of these animals on your farm without spending any extra money! 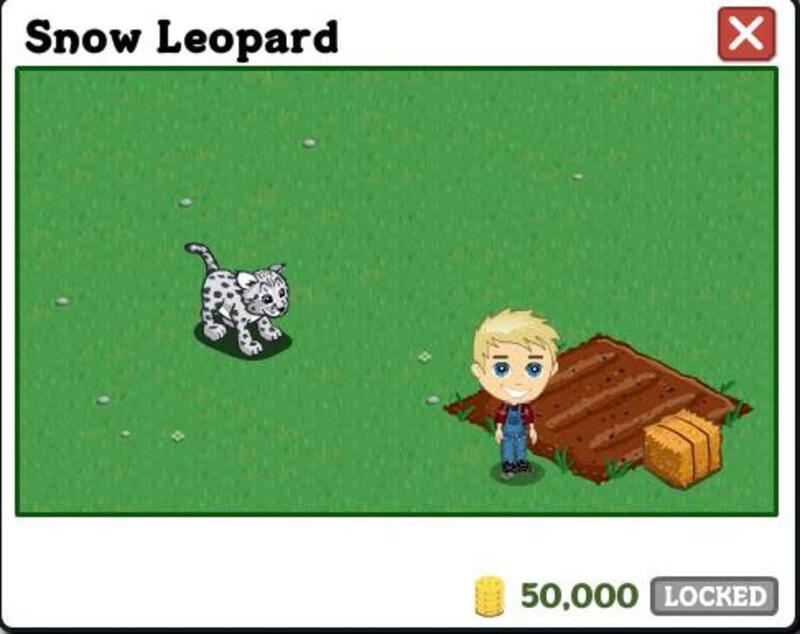 A guide on how to quickly earn Farmville cash in 24 hours when starting from scratch. 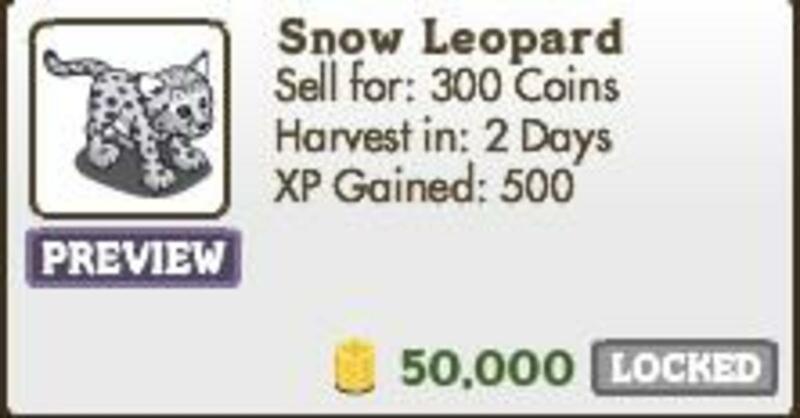 See how many levels I moved up in 24 hours and how much Farmville cash I earned to buy special items, like rare animals, for my farm. 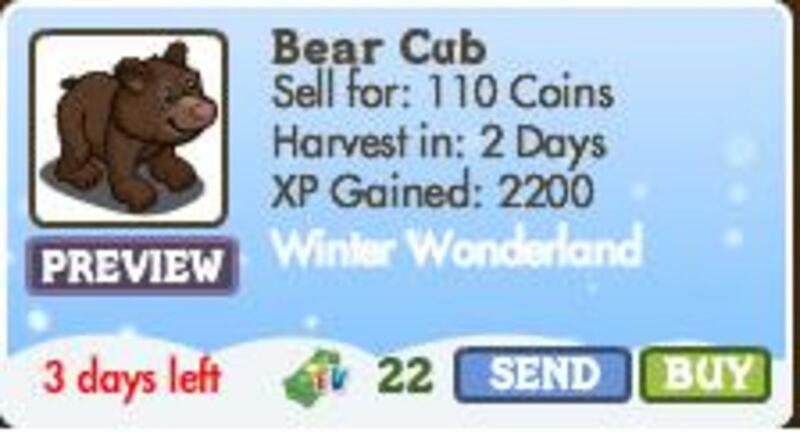 This cute little bear cub is part of the Winter Wonderland collection, which is only available for a couple months in the winter (usually December-January). 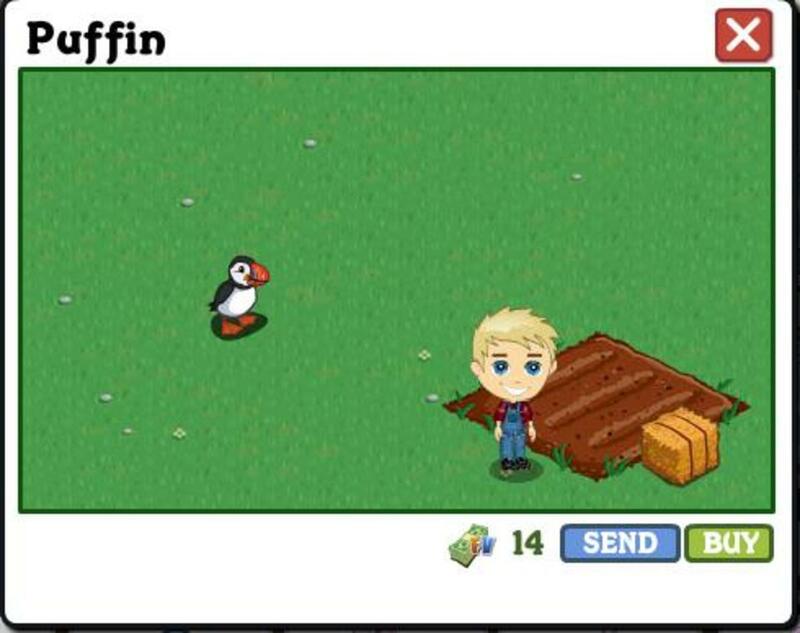 He costs 22 Farmville Cash and you can send or receive him as a gift. 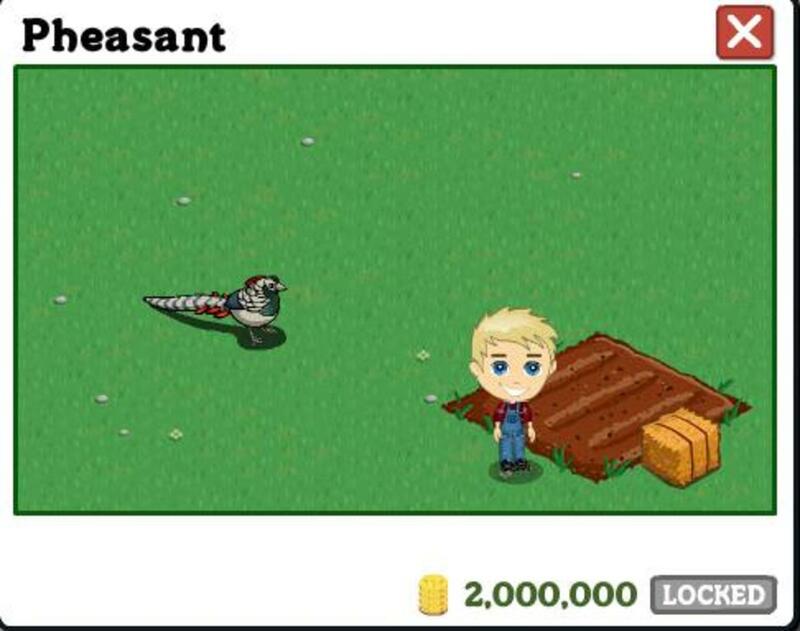 Once you own him, you can also harvest him every two days for 110 coins, which is pretty good for a single animal. I like this little guy because I'm partial to exotic animals. I think having animals that are not generally on a traditional farms sets my farm apart, so this guy is a very good one to have if you want your neighbors to stop and really notice your farm instead of just feeding your chickens and fertilizing your crops. As you can see by the screenshot, this animal currently is not on my farm as it is locked. You need to be level 85 before you can even think about purchasing this little bird. You do gain 20,000 XP when you purchase it, but you also have to spend 2,000,000 coin. 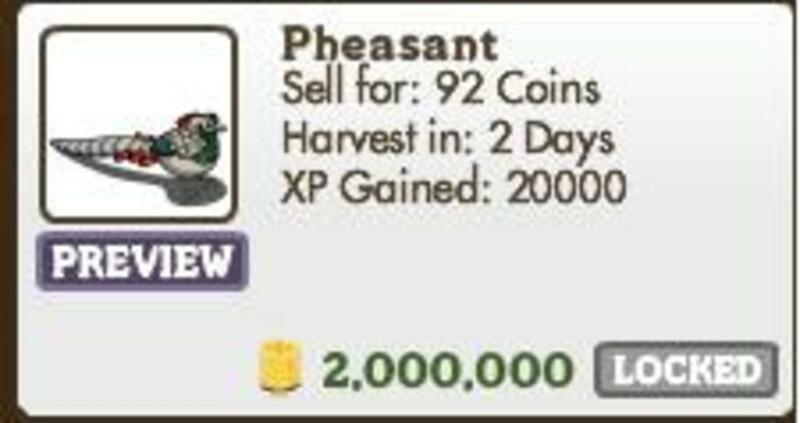 You can harvest the pheasant once every two days, but to get your investment back you would need to harvest the bird 21,739 times to gain your 2 million coin back. This animal is on the list as a status symbol; think of buying a 2 million coin pheasant as owning a nearly priceless antique that sits on a shelf and gives you the satisfaction of owning and being able to afford something extremely rare and expensive. The moose comes in at #8, basically for the simple fact that moose are just plain cool. Having this big guy hanging out by some evergreen trees and maybe a small or large pond can create a "wildness" feel for a section of your farm. For those of you who like to play around with decorations and give your farm a unique feel, under-represented animals like the moose can give your farm that something extra. 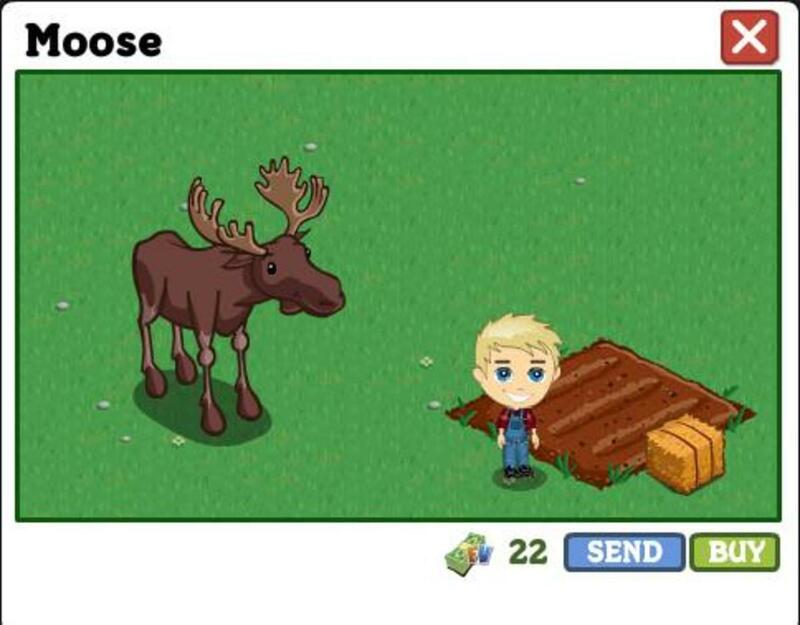 You can harvest the moose every 3 days for 125 coins, so even if you are using him for decoration you can still be gaining a little coin. 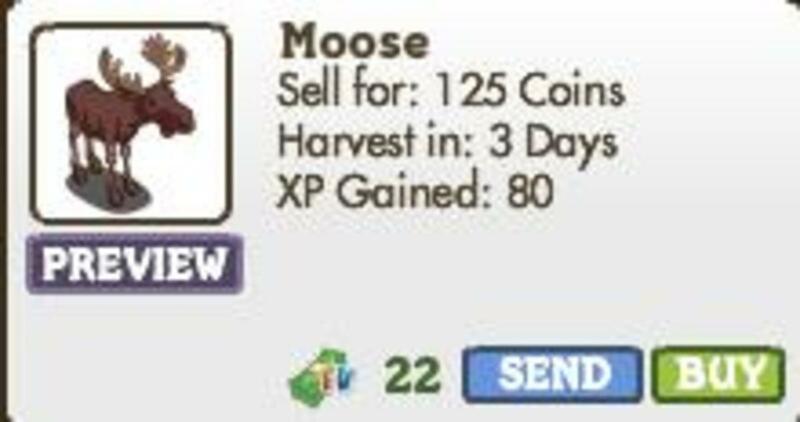 The moose is a lower cost animal at 22 Farmville Cash and it is possible to earn that much Farmville Cash in a day or two using this guide. The Fiordland Penguin is one of the coolest looking penguins in the game and is also part of the Winter Wonderland animals. 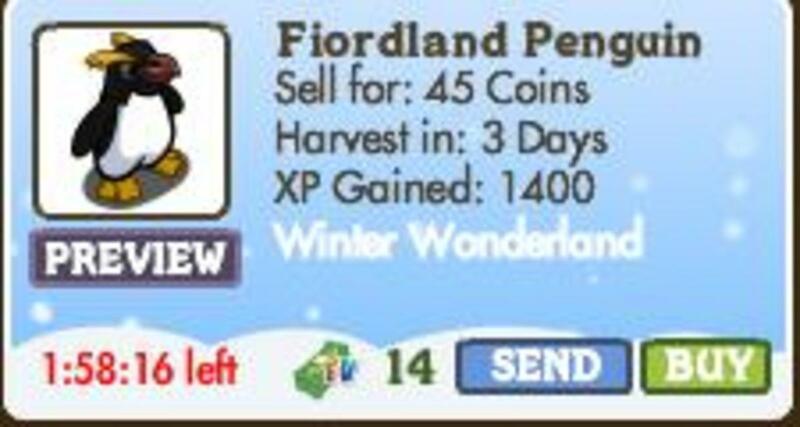 You can harvest him for the same as the other penguins in the game, which were adoptable at one point and sometimes show up as optional gifts. These guys can add a lot to a winter themed farm or even a small penguin enclosure. In my "backyard" i have a penguin enclosure that includes a couple small ponds, some white hay bales, and an igloo! 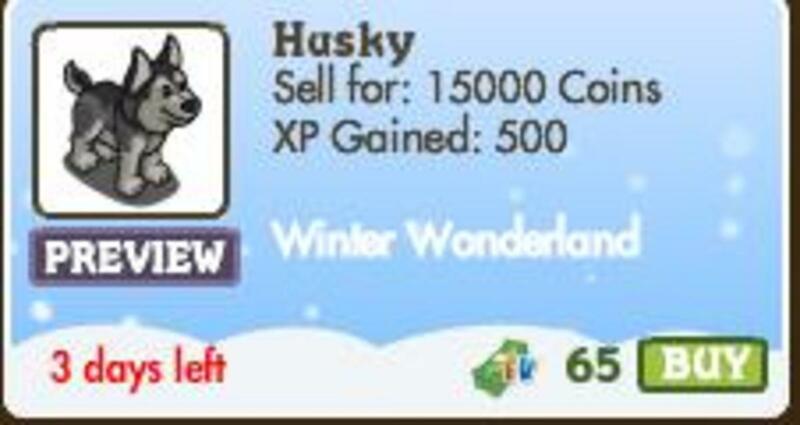 The Winter Wonderland animals are usually available during December/January. 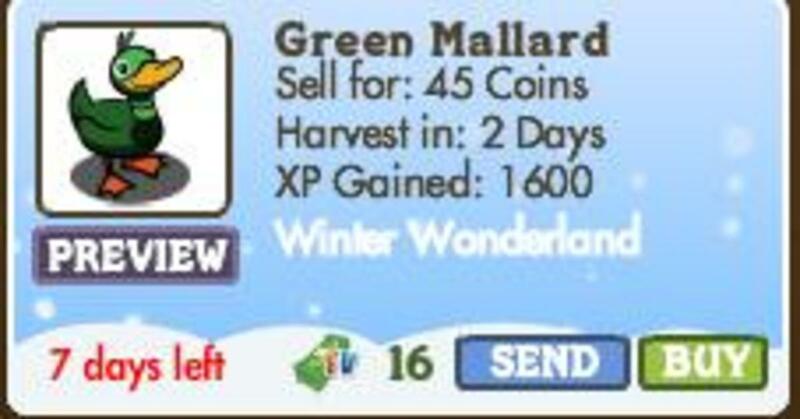 Ducks were one of the first animals in the game and Zynga has just recently expanded their duck collection in the Winter Wonderland seasonal specials and by releasing the Duck Pond. The Duck Pond works like a Chicken Coup where you can house up to 20 ducks and then harvest them all at once. You also have a chance of finding a duckling, which could grow up into one of several kinds of ducks. Comedy Break: Real Life Farmville! The Arapawa Goat made the top five totally based on the fact that it looks so ridiculous that it had to make the top five. 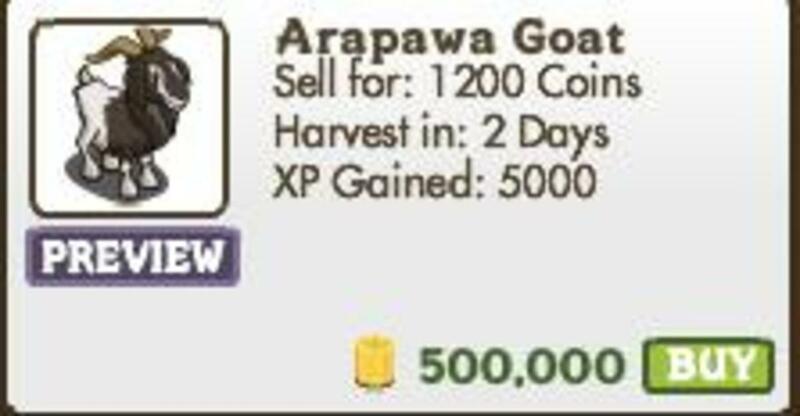 The price tag of 500K coin and 1,200 coin harvest every 2 days add to the fact that owning one (or more) of these guys comes with a high status in the Farmville community. This goat is the Corvette of animals for farmers looking to spend their piles of money on something unique. The Clydesdale horses are just awesome animals. They have a certain majestic feel about them in real life and having one of these guys on your farm will make you smile each time you go to harvest. They have a small price tag, so I suggest spending some of your hard earned Farmville Cash on one of these beautiful animals. Most people know of Clydesdale horses from the Budweiser commercials. I've posted one of my favorites below. It was a tribute to those who lost their lives on 9/11/2001 and only aired one time during one of Budweiser's Super Bowl spots in 2002. The Puffin is another Winter Wonderland animal that I absolutely love. These little cute birds make great additions to farms that are looking to stand out and be different. Having a mix of these little guys, penguins, and some other winter themed items and animals is a great way to create fun exhibits and themes on your 28x28 plot of virtual real estate! 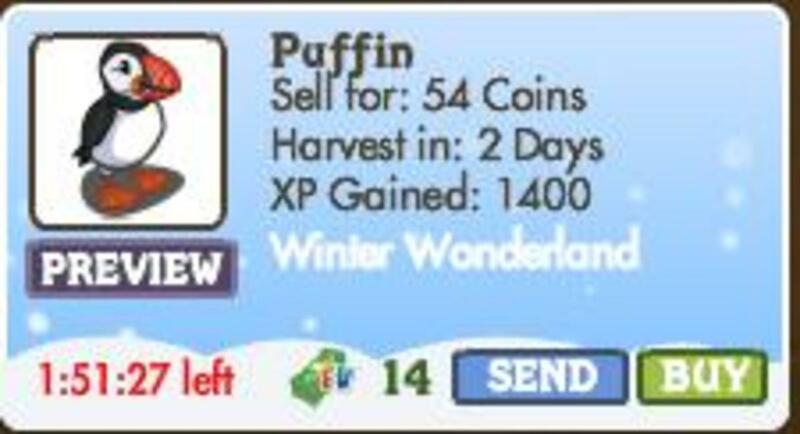 Puffins can be harvested every two days and are actually a bit more valuable than your standard penguin, which gives 45 coins, as the Puffin gives 54 each harvest. 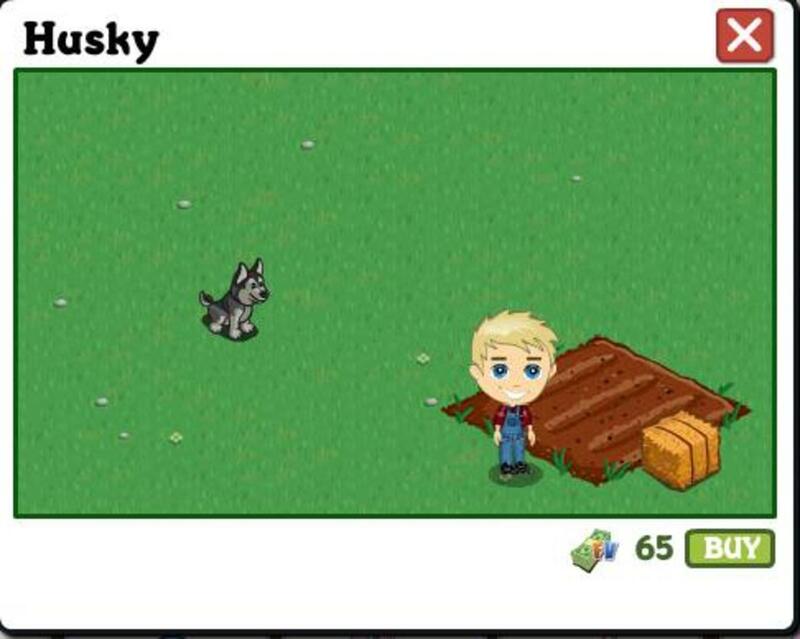 The Husky is by far my favorite dog in real life and in Farmville. 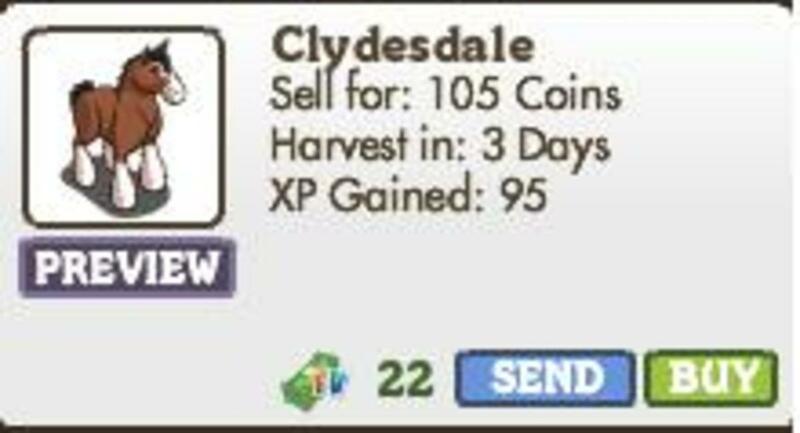 He has a pretty high price tag at 65 Farmville Cash and can't be given or received as a gift, meaning that if you want this guy to be roaming your farm, you will have to shell out some real money or have been saving all of your Farmville Cash from the time you started playing the game. This is one of those animals that you have on your farm for the sheer joy of seeing him or her everyday. Its hard not to be a big fan of this beautiful dog. And the winner is...the Snow Leopard! 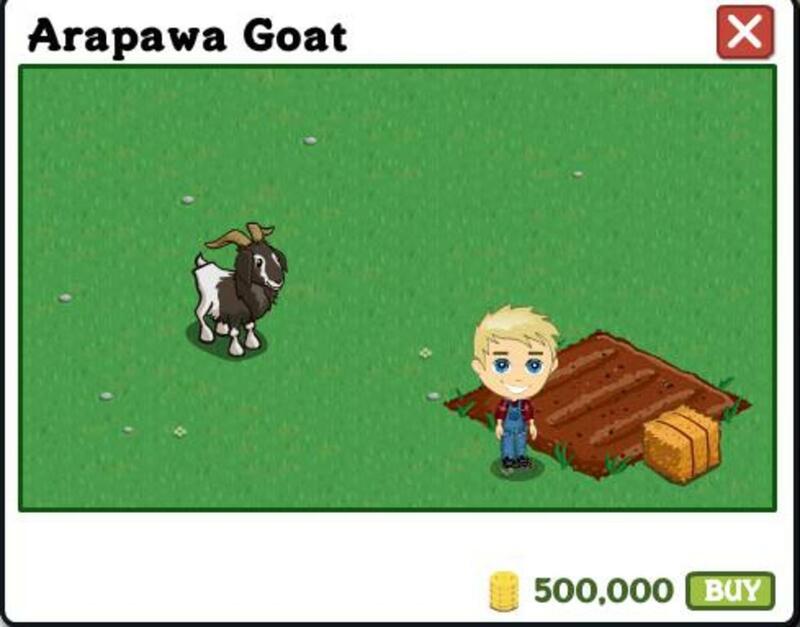 Farmville came out with "iPhone only" items and animals a while back basically, I want an iPhone so I can have this animal on my farm. That's a little larger price tag than the 50K coin it will cost since iPhones are generally around $200 plus a hefty plan each month, but from what I hear they are worth it. 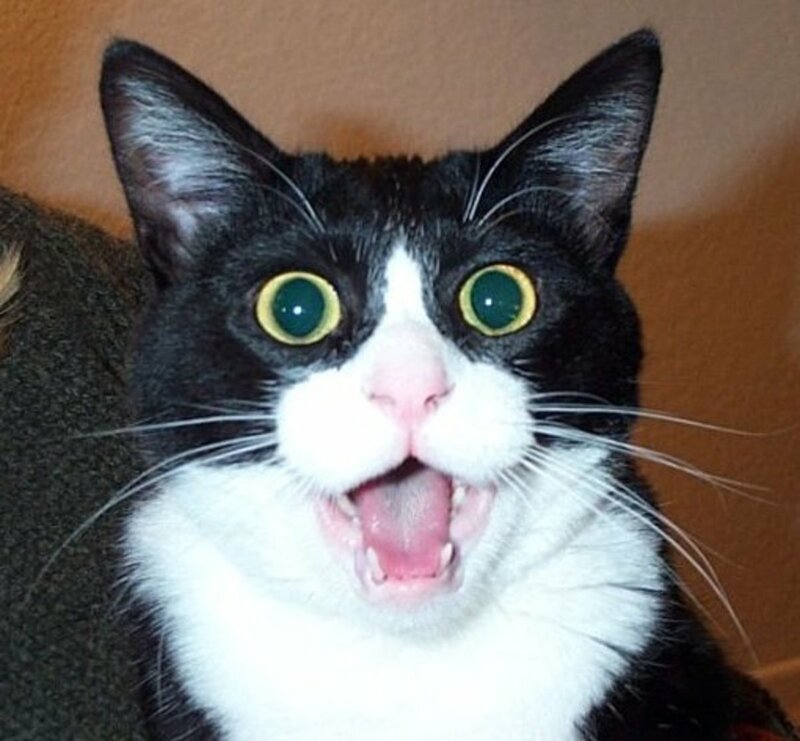 And if I can have a sweet exotic big cat on my farm because I have one, all the better! Big cats have a mystic around them that just commands attention, and the elusive snow leopard is no different. At this time, there is no way to have a lion or tiger on your farm, so this animal is the most exotic and sought after animal on everyone's list. I hope you enjoyed this top 10 list, please feel free to leave comments about which animals are your favorites on the list and your favorites that I didn't list. 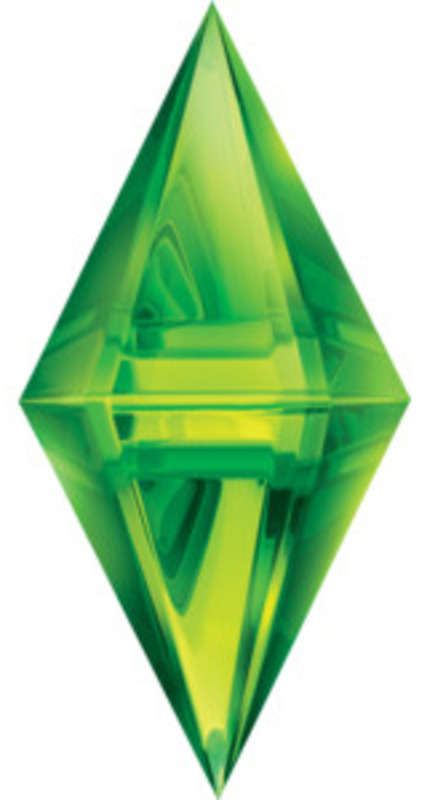 Since Zynga comes out with so many new items, I am sure that I will be able to do a whole new list in a few months time! 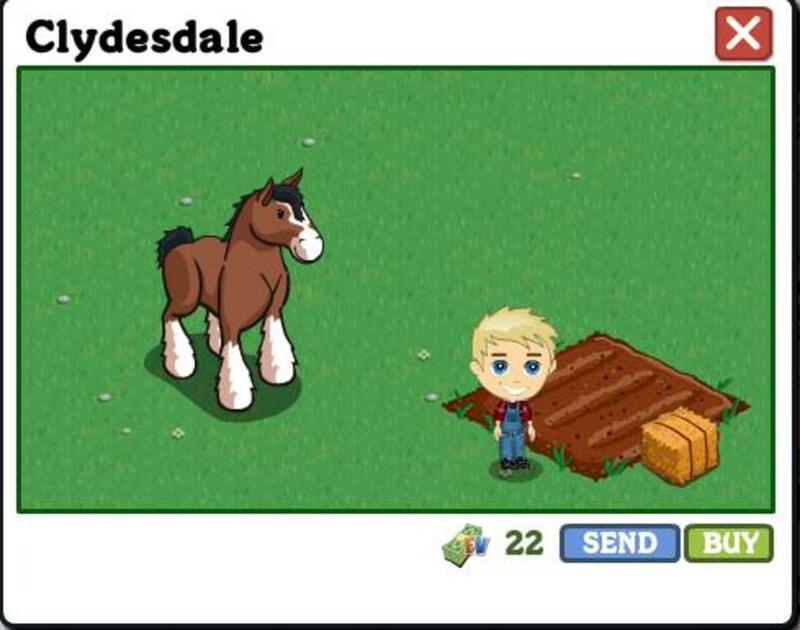 Some of the most creative Farmville players found that their 24x24 unit farm could be turned into a canvas and they could create Farmville art by using different colored hay bales. Check out some of the coolest designs and portraits here! 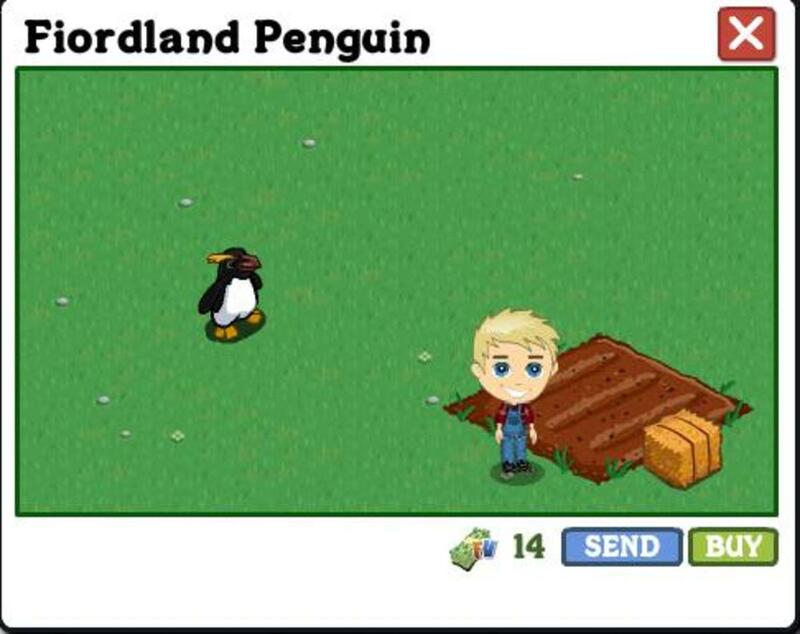 Love that Fiorland Penguin, nice hub, love Farmville. 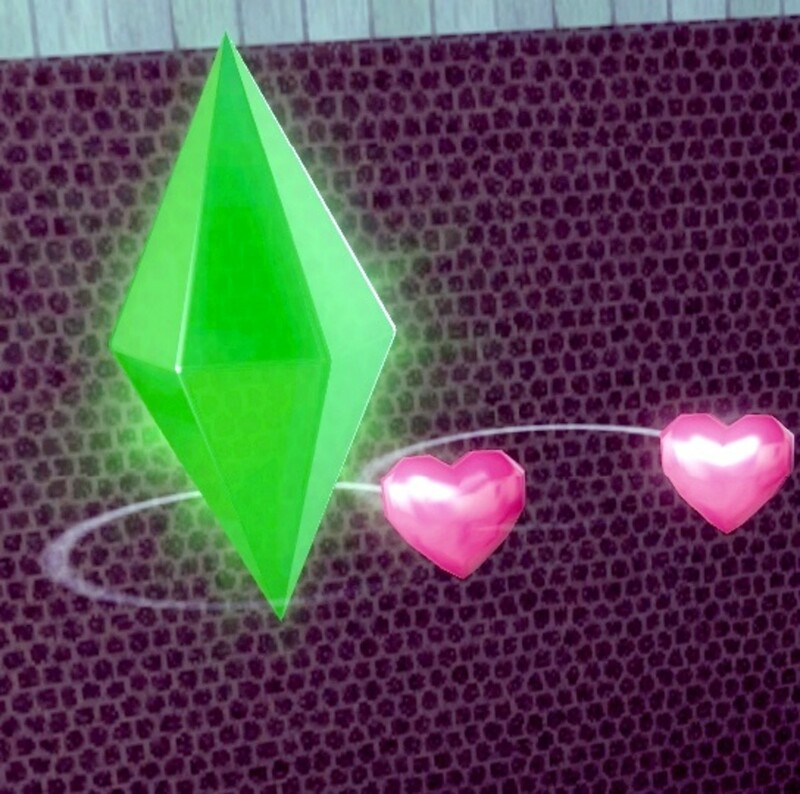 I think the wandering stallion is the best animal.